Shogyoji Temple was founded in 1593 in Fukuoka, Japan and during the last 60 years branches of Shogyoji have spread throughout Japan. In 1994 Shogyoji established Three Wheels in London in response to the deep friendships which developed between a group of British and Japanese people. Since then the Three Wheels community has grown considerably and the temple now serves as the hub of a lively multi-cultural Shin Buddhist Sangha. All of our activities at Three Wheels are based upon the principle of ‘Harmony within Diversity’. 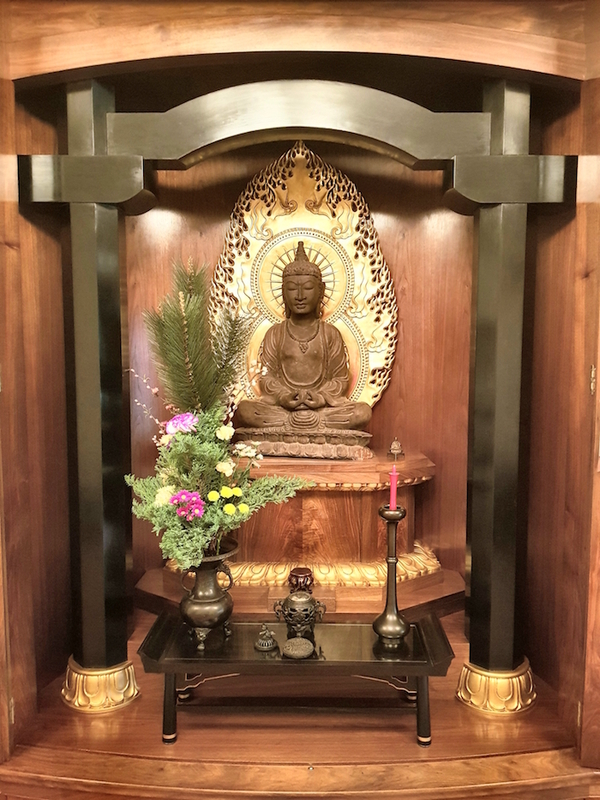 Through fostering this ideal we aim to provide a place where true encounters between individuals give rise to the peaceful awareness of spiritual introspection and inter-personal understanding as we receive together the teaching of Shin Buddhism.